$30.593 million on 2024 screens. Back in 1999’s The Best Man, viewers got to know Harper Stewart (Taye Diggs), the titular figure at the wedding of his pal Lance Sullivan (Morris Chestnut). That film ended with Harper’s engagement to his longtime girlfriend Robyn (Sanaa Lathan). 14 years later, we pick up with the now-married couple – and see that Robyn is heavily pregnant and due on New Year’s Eve. A semi-successful author, Harper encounters pressures from his editor Stan (John Michael Higgins) to write less complicated books if he wants to sell his material. Stan pushes Harper to use his friendship with Lance – a soon-to-retire NFL star – to write the player’s biography. In the midst of these stressors, Harper and Robyn receive an invitation from Lance’s wife Mia (Monica Calhoun) for a weekend that will reunite them with the folks from the first film. In addition to Lance and Mia, that includes TV producer Jordan (Nia Long) and her new white boyfriend Brian (Eddie Cibrian), educator Julian (Harold Perrineau) and former stripper wife Candace (Regina Hall), free-spirited Quentin (Terrence Howard) and wild “Real Housewife” Shelby (Melissa De Sousa). All come with their own issues and controversies that develop as the reunion progresses. Holiday comes with an awfully long roster of characters, and while Harper remains the lead, it does try to balance all of them. With such a large cast, that seems easier said than done, though – and despite a prologue to refresh memories, it may be even more difficult for those who didn’t see the first film. Not that I suspect we really need all that backstory for Holiday to make sense, as it fleshes out the conflicts/issues/characters well enough on its own – in a manner of speaking. While we pick up on the interpersonal areas and plot issues sufficiently, we don’t get much in terms of depth or insight. That’s somewhat inevitable with so many participants; all those roles across two hours doesn’t leave tons of room for exposition. That means the film resorts to a mix of low-brow comedy and overwrought melodrama. Perhaps fans of the first movie will more strongly invest in the many emotional moments, but as someone new to the series, I think the flick pours it on too heavily. When Holiday goes for light entertainment, it’s reasonably likable. It comes with a good cast and they can invest the tale with decent amusement when allowed to do so. But boy does the flick like its heavy-handed drama! Some of these elements would be fine, but Holiday just goes nuts with them. All these characters, and each one of them has Serious Personal Problems with which they need to deal? Is that believable? Not in my opinion – I think it completely stretches credulity that all these significant subjects would intersect and clash over one short weekend. Again, I can accept some of this in the interest of storytelling, but it becomes tough to swallow the manner in which the melodrama dominates. This becomes an issue because the emphasis on these elements actually robs them of impact. Give us a couple of these bits and they’d have decent power, but a movie that throws one serious contrivance after another at us encounters diminishing returns; it’s simply hard to feel moved by so much drama all at the same time. I guess audiences disagree, as Holiday did pretty well at the box office – well enough that I’d bet we’d get the sequel the movie’s ending teases. Heck, I wouldn’t be surprised to see Best Man Empty Nest and Best Man Retirement Home at some point. I can’t say that the flick does much for me, though. Despite the best attempts of a quality cast, Holiday ends up as a slow, overwrought experience. 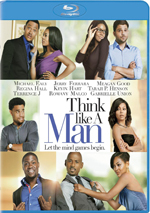 The Best Man Holiday appears in an aspect ratio of approximately 2.40:1 on this Blu-ray Disc. This was a somewhat flat image. For the most part, sharpness was good, but it wasn’t terrific. Though most of the movie showed positive delineation, it came with mild softness at times, an issue exacerbated by some light edge haloes. Still, the majority of the flick came across as reasonably concise. No issues with shimmering or jaggies occurred, and I saw no source flaws. Colors tended toward an amber tint typical of character films such as Holiday. The tones suited the material and seemed well-developed within the stylistic choices. Blacks were fairly dark and dense, while shadows seemed smooth and clear. The softness was the most notable issue, and it brought my grade to a “B-“. I thought the film’s DTS-HD MA 5.1 soundtrack also deserved a “B-“, mostly due to a lack of sonic ambition. One wouldn’t expect fireworks from a character piece such as this, and that limited scope dominated the movie. Music showed nice stereo spread, and environmental elements filled out the room in a satisfactory manner. However, the audio had little to do and remained focused on dialogue, so don’t anticipate anything memorable from the 5.1 track; even when we went to a football stadium, the material remained subdued. Sound quality seemed fine. Music was full and rich, while effects showed good clarity and accuracy; they remained low-key and didn’t tax my system, but they were perfectly acceptable. Speech appeared distinctive and natural. Though not an impressive mix, the audio suited the film. When we shift to extras, we open with an audio commentary from writer/director/producer Malcolm D. Lee. He offers a running, screen-specific look at story/character areas, sets and locations, cast and performances, music and visual design, editing, and a few other domains. On the positive side, Lee presents a lively, engaging personality, and he gives us some good notes about the production. He seems willing to comment on problems experienced during the shoot, so he doesn’t simply give us incessant happy talk. Heck, he even gets angry some times, such as when he discusses the Real Housewife shows. On the negative side, however, lee tends to narrate the movie an awful lot. Since we’ve already seen the movie, we don’t need Lee to tell us what we find on-screen. Lee still offers enough good material to overcome that issue, but the frequent narration limits the quality of the piece. We find an Alternate Ending (1:39) as well as 19 Deleted/Extended Scenes (25:12). The “Ending” shows a different path to the same essential resolution; it’s mildly interesting at best. As for the bevy of deleted/extended moments, they tend toward a variety of character moments. We find alternate introductions to a bunch of roles and learn a little more about different topics/personalities. Fans will enjoy the chance to see the added footage, but I can’t say any of them offer anything vital. We can view these with or without commentary from Lee. He tells us about the scenes and why he cut them. Lee continues to be chatty and informative. Two featurettes follow. Holiday Reunion runs 12 minutes, 14 seconds and includes comments from Lee and actors Harold Perrineau, Melissa De Sousa, Nia Long, Taye Diggs, Morris Chestnut, Terrence Howard, Regina Hall, Sanaa Lathan, Monica Calhoun, and Eddie Cibrian. 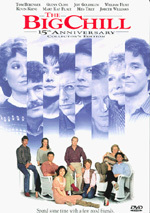 “Reunion” covers the decision to make a sequel and bringing back the actors, story/character topics, performances, and Lee’s work on the shoot. A few decent notes emerge, but this is mostly a promotional puff piece. Smack Talk: Filming the Girl Fight Scene goes for four minutes, nine seconds and involves Lee, De Sousa, Hall, Perrineau, Howard, Lathan and stunt coordinator Angelica Lisk-Hann. We get a few notes about the specifics related to the cited sequence. The piece is too short to tell us much, but it has some good shots from the set. We finish with a Gag Reel. It lasts four minutes, 53 seconds and shows a bunch of mistakes and crack-ups. Don’t expect anything outside of the norm here. The disc opens with ads for Dallas Buyers Club, Rush, and Riddick. No trailer for Holiday shows up here. A second disc provides a DVD copy of Holiday. It comes with the commentary, “Reunion” and the gag reel. Almost 15 years after the original, The Best Man Holiday delivers a limp sequel. It runs too long, suffers from too much melodrama and lacks much real entertainment value. The Blu-ray offers reasonably good picture and audio as well as some decent bonus materials. Fans of the first flick may get something from Holiday, but it does little for me.